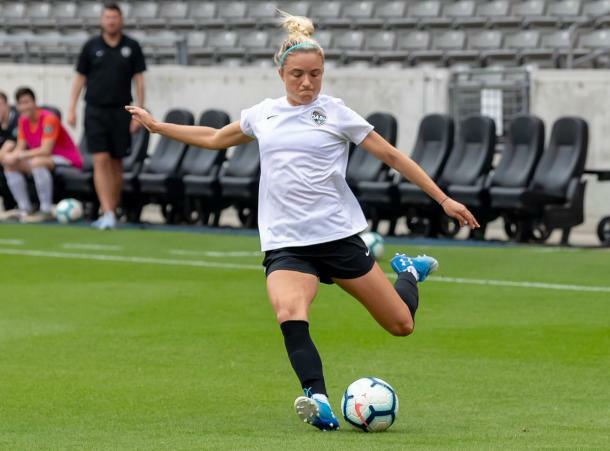 The Houston Dash host Reign FC for their season opener of the 2019 NWSL season. The Dash has only beat the Reign once in NWSL history. The National Women’s Soccer League season has returned for year seven and the Houston Dash are ready to host Reign FC. The Dash, being the first-ever expansion club for the NWSL, will be entering their sixth season. The Reign are an original NWSL club and look to continue on for season seven. Houston is returning a core group of players to their squad this season. Last season’s roster proved that despite being seen as underdogs, they’re a very formidable opponent when it comes down to it. Huge news for the Dash is Kristie Mewis returning to the field this season. Mewis suffered an ACL tear early last season and sat out the rest of the season. Another major face to look out for on the roster is midfield veteran Christine Nairn. Nairn was traded to the Dash just before preseason from the Orlando Pride. Nairn is a league-wide veteran who brings plenty of experience. She’s previously played with Reign FC, formerly known as Seattle Reign FC, the Washington Spirit and the Pride. The Dash are looking for their second-ever win over the Reign in NWSL history. They earned their first win last May when rookie Veronica Latsko scored a stoppage-time goal for the victory. This time though, they’re starting the season with a new head coach, James Clarkson. Clarkson has mixed old with new, bringing in new talents while keeping core players like Rachel Daly, Kealia Ohai, Sofia Huerta, and Jane Campbell on board for the 2019 season. The Reign FC organization saw quite a few changes in the offseason. They dropped “Seattle” from their organization title due to their move to Cheney Stadium which resides in Tacoma, Washington rather than Seattle. They are returning plenty of key players like Megan Rapinoe, Jodie Taylor, and Allie Long. With a strong core, head coach Vlatko Andonovski has also added a few more talents into the mix in hopes of securing the path to an NWSL title. Big addition to the club include forwards Darian Jenkins and Shea Groom. Jenkins was part of an offseason trade with the North Carolina Courage and is likely to help out the frontline this season in many ways. Groom made her way to the Reign in an offseason trade with Sky Blue FC and has previously played under Andonovski with FC Kansas City her first few seasons in the NWSL. 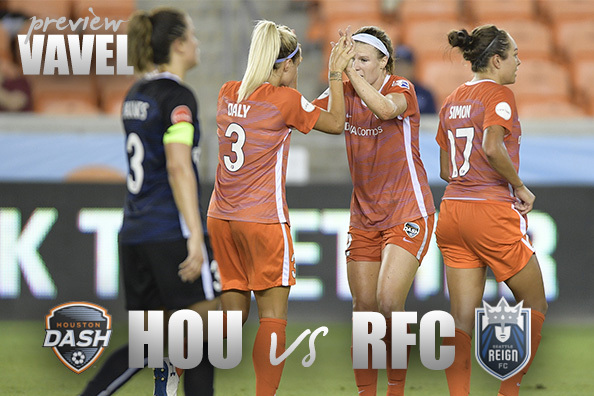 The Houston Dash host Reign FC on Sunday, April 14 at BBVA Compass Stadium. Kick off is at 6 PM Eastern Time and will be streamed live on Yahoo Sports.